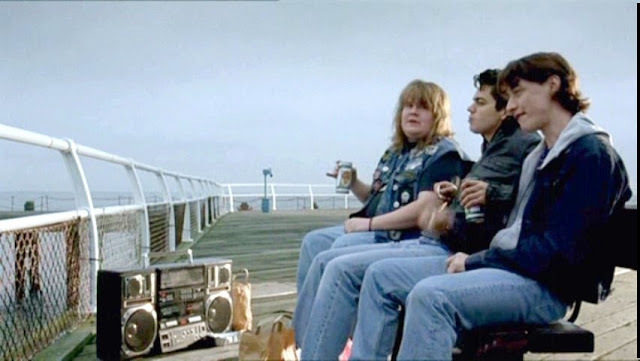 I love the film Starter for 10 and every time I watch it I still love a pair of baggy jeans that James McAvoy's character Brian Jackson wears in a few scenes of the film. James McAvoy is amazing as always and the music is just brilliant. Anyway I wanted to show you how you can get an inspired style of these jeans if you wanted to. I got mine from New Look now I've looked on the website and I can't find the ones I have I'm really sorry but I know what range they are from, they are from the Yes Yes range and they are Boyfriend Jeans. So I'm sure if you search for this on their website then I'm sure you can find them or a similar pair, either online or in the shop. Also New Look have a sale on so they might be in the sale.